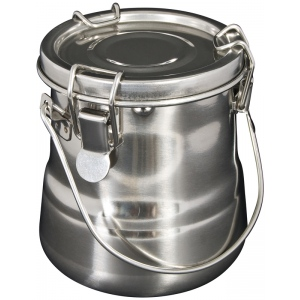 Brush washing canisters made of rust-proof nickel-plated seamless steel. * Equipped with a lift-out receptacle that keeps excess paint below and clean fluid above. 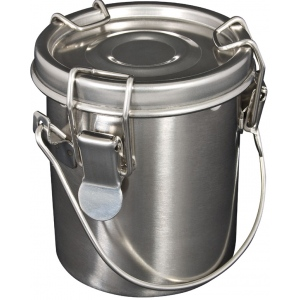 * Removable airtight lid prevents spills and evaporation of the solvent. * Includes a handle for portability.